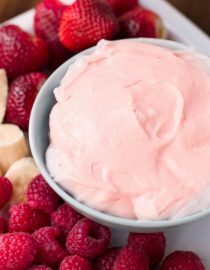 This strawberry fluff fruit dip is one of the first recipes I fell in love with as a kid and I still can’t get enough of it. All you need is two simple ingredients! When I was a teenager I had this fruit dip for the first time and while I think it’s from Shannon Mattson, one of the sweetest, spunkiest and most tender hearted people I know, I could also be totally wrong. Either way, this strawberry fluff fruit dip is pure heaven and I’ve got two little girls over here licking their bowls clean in order to not miss out on a single bit. And the very best part? It’s 2 ingredients. Boo-yah. There’s literally nothing easier than buying two things at the store, whipping them together and serving with a platter of fruit. I’ve actually mentioned this a few times, but in case you are new on this blog, fruit and I are the best of friends. I’d actually take it over chocolate most of the time. Most of the time. I mean, who could ever turn down a hot, homemade chocolate chip cookie. 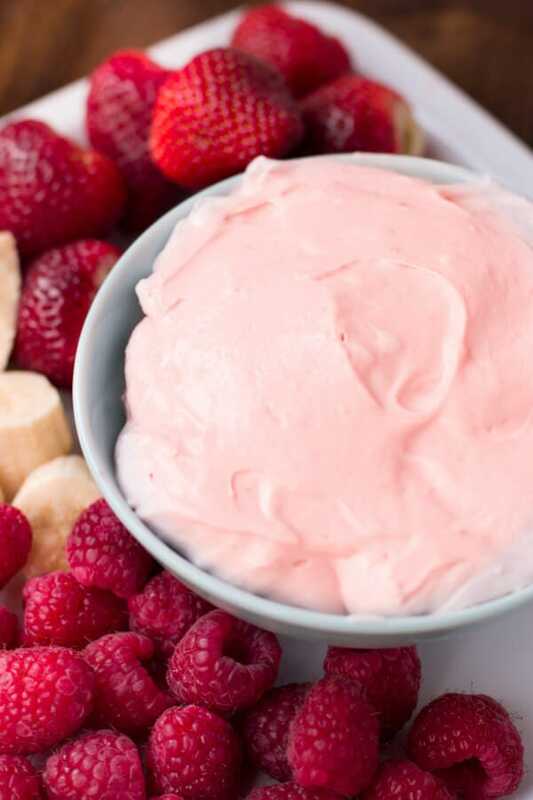 This is one of those fruit dip recipes that works best with strawberries and bananas but any fruit will work like, apples, pineapple, or even peaches and pears. How do You Keep Apples and Bananas From Browning? Bananas and Apples brown quite quickly once the air hits their flesh, but if you’re wondering how to keep apples and bananas from browning you can always just toss them with a little bit of lemon juice. I’m going to be totally honest with you, I don’t like to do that. Lemon juice adds a little zip to the fruit and so as much as it pains me to say this, I prefer to cut the fruit right before serving. Yes, that means that we have one more thing to do before guests show up, but I’m willing to do it. 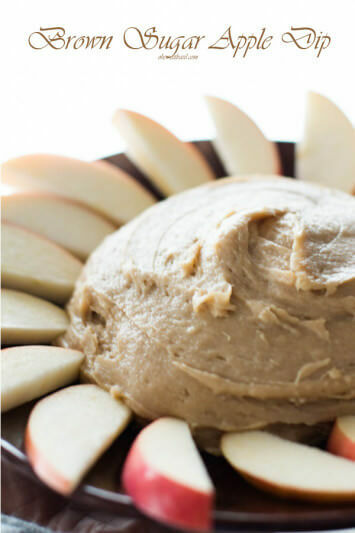 Brown sugar apple dip is a cinch to pull together but you may want a double batch as no one can stop eating it. 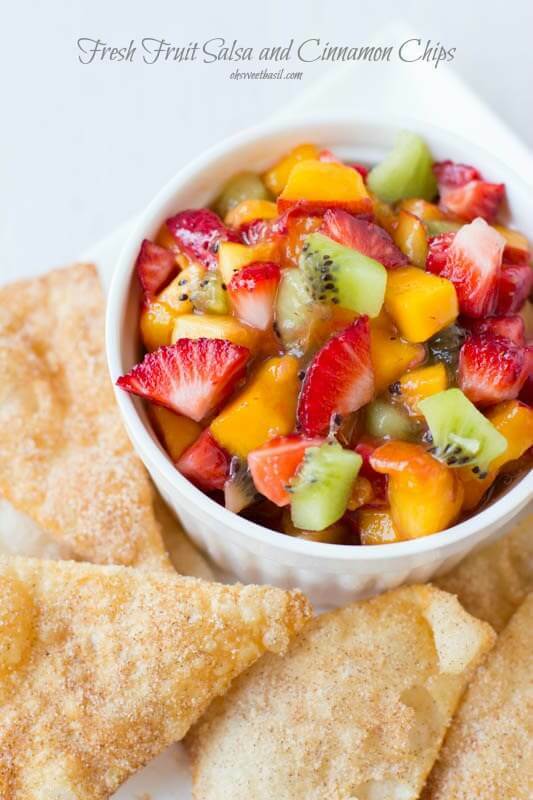 Fresh fruit salsa with cinnamon sugar chips are perfect for any party! 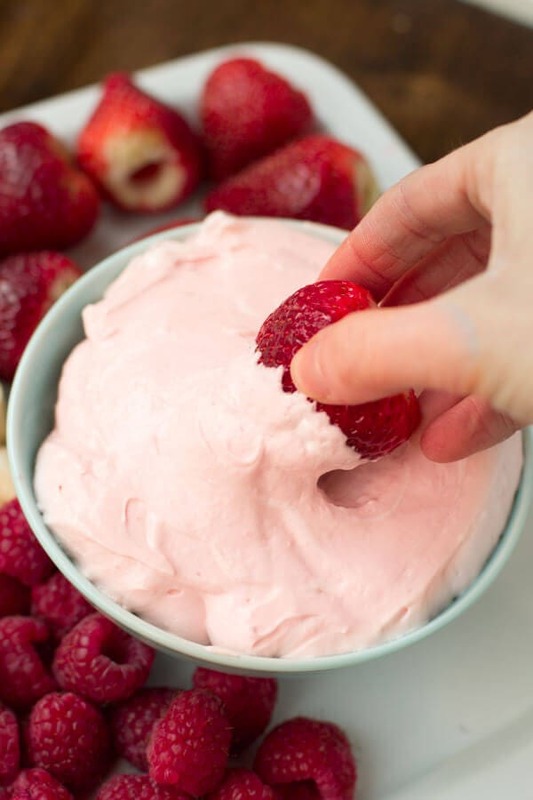 This strawberry fluff fruit dip is one of the first recipes I fell in love with as a kid and I still can’t get enough of it. 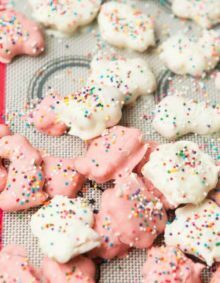 Place the marshmallow fluff and cream cheese into a bowl and using an electric or handheld mixer, beat the two ingredients together until smooth. This works best if you’ve let the cream cheese sit out for 10 minutes first, but it’s not necessary. Spoon into a serving dish and arrange fruit on a platter. This dip can be made up to 2 days ahead of time, wrapped tightly in saran wrap or stored in tupperware until ready to serve. Leftovers can easily be stored the same way. Have had this dip for MANY years but add a box of Strawberry Jello mix with plain cream cheese….goes well with every fruit! Kids eat tons of fruit just for the dip. Can also add a touch of Ginger instead of Strawberry Jello for a more adult taste. Either way, it’s a HIT!!! Ohhh I’ll totally try that! I doubled the recipe for a party because the recipe says it yields only 4-6 servings….turns out it serves many more…after I ran out of fruit, we tried graham crackers with the remaining dip and that was also delightful! This is quite tasty! Comes in a jar, we use this to make fudge with. Kraft makes it along with other brands…. My mother used philly cream cheese and powdered sugar great on pears from a can. Can be used on any fruit and any fruit from a can. Hope you try it I think it is better than the strawberry cream cheese too strong. That sounds fantastic! Cannot wait to try it! If you use plain cream cheese, squeeze in lemon juice. Great flavor for all fruit. That’s a wonderful idea! We have a ton of fruit right now and I can try it out asap! I have used this recipe for years and everybody loves it. It tastes great with practically any fruit! I find if you whip the cream cheese first then add the marshmallow fluff, it’s easier and don’t get lumps. Absolutely, whipping it first definitely helps! I’ll have to try your way too! I have used this recipe for many years. It is so delicious. I never thought to use the strawberry cream cheese, so can’t wait to try it. We usually eat strawberries with it. One recipe does not go far with four grandsons!!! Oh, I bet! Boys eat so much!! What fruit works best for serving with this dip ?Looking forward to trying this soon ! Haha, don’t you hate when that happens? Sounds good. 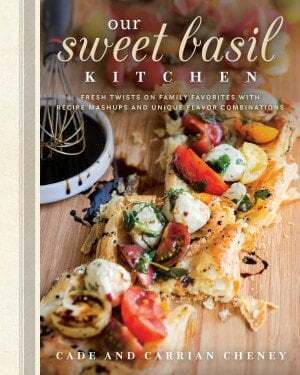 Going to try it with my cream cheese bundt cake. I slice and and flavored cream cheese. Very good. With hot cup of coffee. ok, I need that delivered! Sounds just wonderful! 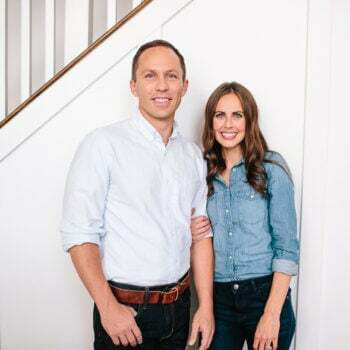 My family has been making this dip for years! It’s so yummy and always a huge hit. never thought abpout strawberry cream chees. when I make fruit did I do the marshmallow creme, regular cream cheese, some maraschino cherry juice and sometimes chop a few of the cherries into tiny pieces and add them, but definitely gonna try the strawberry cream cheese, sounds amazing. ohhhh! I’ve never thought about maraschino juice. Genius! Can I add strawberry glaze to it ? Would that make it TOO runny? What size containers did you use for the fluff and cream cheese? i have made this in the past, it is always a HUGE hit. SO Yummy. I’m in Il. Where do I find strawberry. Cream cheese. They have they have other flavors but that one lol. Hi. Instead of it coming in a block it comes in a small round bowl with the flavored cream cheeses. In Ohio it is sold at most retailers/grocers. Hope this helps. I bring it out with guests because then my portion is small and I didn’t over do it since it is a lot of sugar! Simple and delicious, doesn’t get much better than that! Ummm heck. yes. 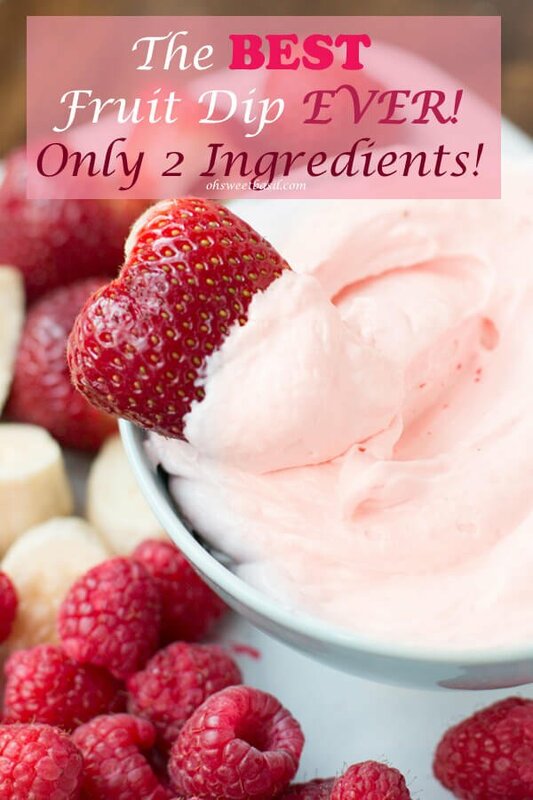 Two ingredients to creamy fruit dip heaven? YES please! Two ingredients ? Yes please! Oh this looks like a special little snack! it got devoured after school for sure. What a fantastic looking dip! I would be licking my bowl clean too if it was in front of me 🙂 Love it! 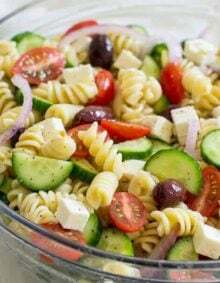 This looks so simple, but sooo delicious! I would be licking out the bowl too! Fruit is one of my favorite treats. 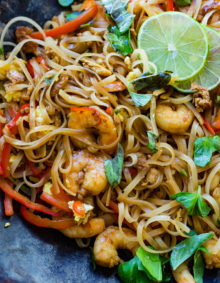 Looks delicious and so easy! That works for me! I usually make this with regular cream cheese, I’ll have to try strawberry flavored next time. oh, heck yes!! I cannot wait to try that! Oh yes!! Love this fruit dip. So gorgeous! Looks like a wonderful snack! Yay!!! I hope you do and please let me know whatyo u think!